Are you looking for an equitable distribution attorney in Northern NJ? Kathy Karas-Pasciucco of Feitlin, Youngman, Karas & Gerson has been a equitable distribution attorney in Northern NJ for many years. Equitable Distribution is the distribution of the assets acquired by you and your spouse during the course of your marriage. The assets to be distributed are all items acquired jointly during the marriage including household items, furniture, cars, boats, retirement assets, real estate and any and all other property acquired by the divorcing couple during the course of the marriage. Typically, the assets will be valued from the date of the marriage until the date the complaint for divorce is filed; however, the parties can agree to use whatever valuation date they choose. It is not uncommon for parties to argue about an asset and to demand an asset out of spite. This mindset that each and every asset must be argued about is what creates tension between the parties and drives up legal fees. 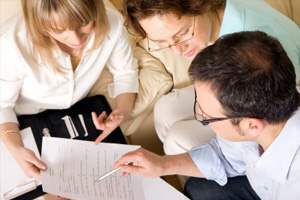 When a couple is engaged in a Collaborative Divorce, I find the parties are more agreeable to making decisions concerning equitable distribution that make sense for the family rather than fighting about each and every item. The Collaborative agenda creates an atmosphere that allows each party to express him or herself without the fear of retaliation. This can work to the parties advantage so the settlement can go more swiftly and cost effectively. For example, if the parties own a boat but one spouse never operated the boat and has no desire to do so, then it makes perfect sense to allow one spouse to keep the boat and the other will receive another asset. This idea of negotiating for the best interestof the family is the basic premise of a Collaborative Divorce. In addition, in a conventional divorce it can be very costly to have the respective attorneys go through each and every item in order to agree upon who will take what.
" 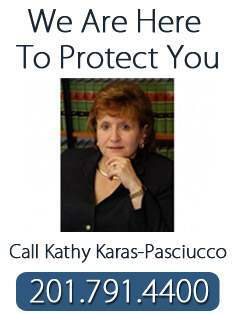 Kathy Karas-Pasciucco is an attorney of unmatched devotion, intelligence, wit, and compassion. She is sympathetic yet realistic, an unparalleled legal mind and a pitbull in the courtroom, quickly responsive and thorough, and the reason I have stayed sane over the last 5 years. I recommend her with wholehearted enthusiasm and am privileged to thank her on this public forum with my sincerest gratitude. " " Ms. Karas-Pasciucco is my divorce attorney. Though my divorce issues are complicated and difficult, Ms. Karas-Pasciucco and her assistant have kept me well informed and at ease. She is knowledgeable and always with my and my children's best interests in mind. I would recommend her to anyone struggling in a family law case. " " I cannot thank Kathy Karas-Pasciucco enough for her time, dedication, and commitment to my case. Going through a divorce is a painful process. I felt extremely supported and validated as her client. May I also mention, Kathy is exceptionally gifted at commanding a courtroom. Her presence cannot be denied. Kathy is bold and will fight the fight with you every step of the way. So grateful she was my voice throughout this process... "
" If you want an experience of outstanding client service, you must use Feitlin, Youngman, Karas & Gerson, LLC. I turned to Kathy Karas to assist me with my proceedings. Kathy's responsiveness, knowledge and authenticity during a complex divorce case kept me stable and successful. Kathy and her team were always engaged when needed and always made good value of my retainer by utilizing the right staff member for the right task... "
" Kathy Karas made a very difficult divorce situation as painless as possible. She was supportive and so knowledgeable. She was patient and explained everything to me and prepared me for every step of the way. I felt confident that she was the person to represent me, my interest and the best interests of my children from the moment I met her and I was never disappointed... "